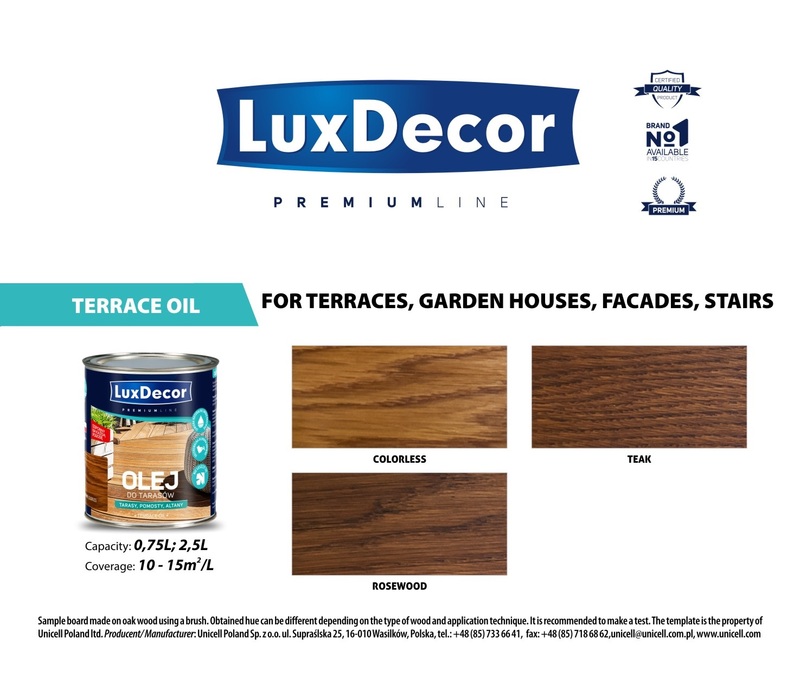 Teracce Oil Luxdecor Premium is used to impregnate and decorate wood outdoor, i.e. terraces, garden houses, facades made of wooden panels, stairs. It brings out and highlights the natural beauty of wood. It prevents wood drying and cracking. It does not flake off. 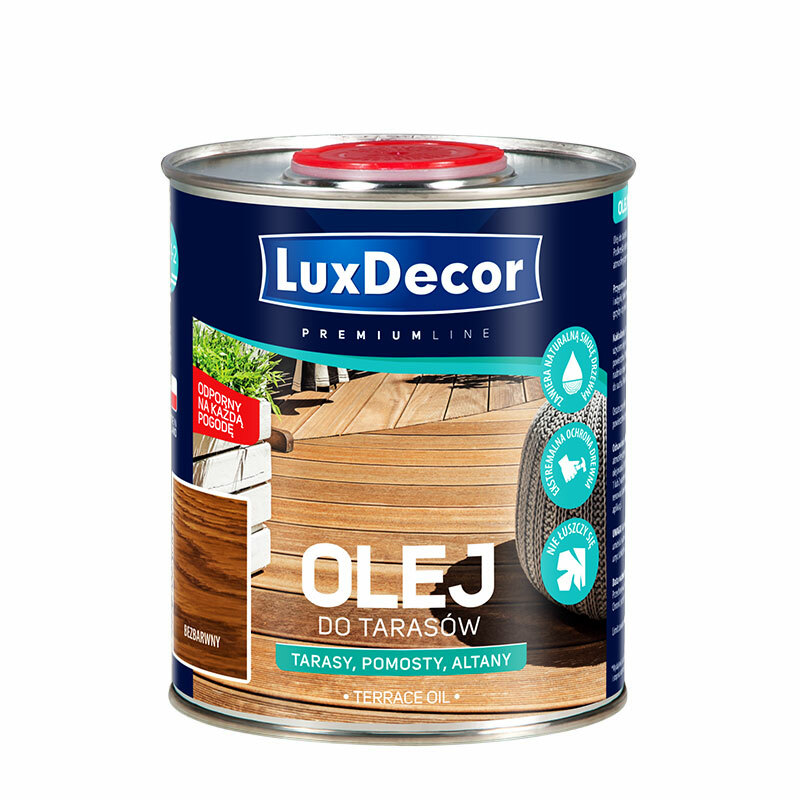 The oil also protects the wood from weather conditions, such as moisture or UV radiation. After work, put the materials used for oiling (cloths, brushes, sponges) in a container and pour water to prevent spontaneous combustion, and then dispose of with municipal waste. 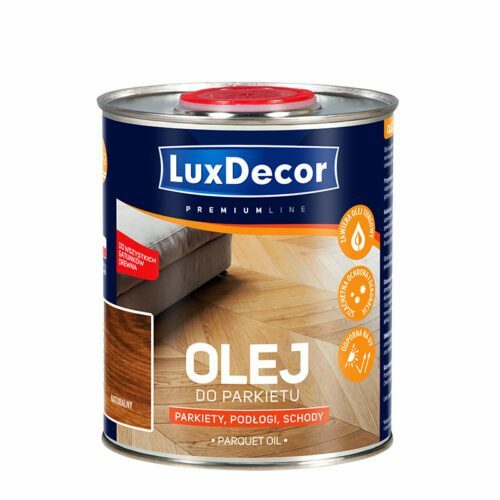 Note: Final effect depends on the level of wood polishing, wood type and method of application. Use products from a single production batch for painting larger surfaces, or pour contents of containers from various batches into one container and mix well.